This ATEX and IECEx certified induction base heater is the culmination of a number of year's research and development. It is designed to be safely used underneath most drums and also in conjunction with a "Top-Hat" or the Thermosafe Induction Drum Heater. 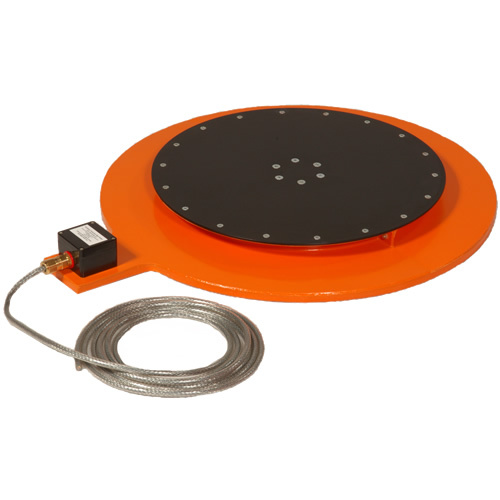 The Faratherm Induction Base Heater consists of an induction coil, encapsulated in glass reinforced resin with a heating plate located on top. It has been developed using the same technology as the Thermosafe Induction Heater - a very reliable and efficient product in use worldwide for over 20 years. Powered by a single phase ac mains supply, it will heat the base of drums and containers placed onto it. The Faratherm is safe to use in hazardous areas (zones 1 and 2). It is fully certified to meet both ATEX and IECEx requirements. With an ingress protection rating of IP66 and no moving parts, it is suitable for use in harsh environments or where regular cleaning is required. The plate is heated by induction and therefore there are no heating elements. The maximum temperature is self limiting - this is governed by the material being heated and the heating arrangement. In most applications additional temperature regulation is not required, however control options are available, please ask for more information. Drums and containers up to 205 Litres may be heated. Plastic, steel or stainless steel are all suitable. The Faratherm will heat drums and containers by itself. However for reduced heating times it can also be used with an LMK insulated jacket, or the Thermosafe Induction Heater, with or without a "top hat" (Certified "T" ratings may vary). Testing has shown that the addition of a Faratherm when using a Thermosafe to melt a solid or wax will significantly shorten the heating time. A 40% time reduction for a full drum of wax to be melted to 80°C has been recorded.